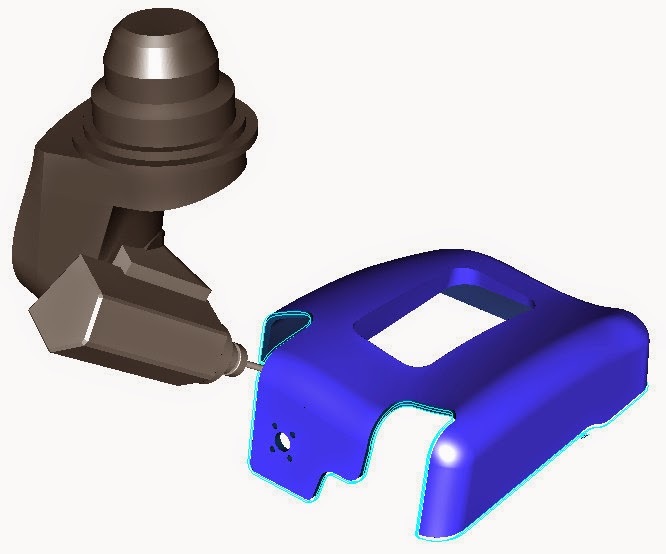 Smart linking for Z-level finishing in madCAM SR 8. There is a new way of making ramp approaches inbetween curve levels. 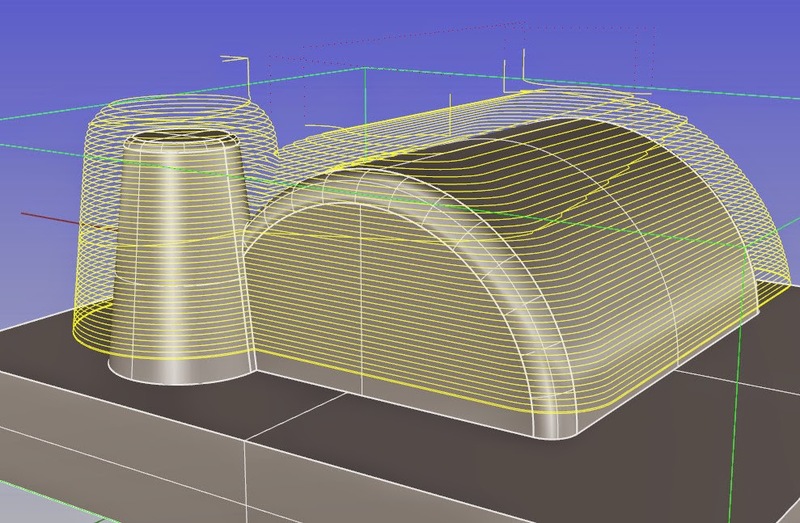 madCAM looks for the next closed toolpath curve and moves the seam point to minimize the lead-in distance to the next ramp approach. This makes a better cutting action and less "cutting air". The helix lead-ins are only created on open curves. 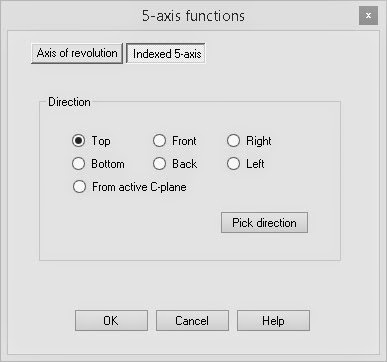 It is now possible to script the 4-axis and 5-axis settings for indexing and for the axis of revolution. For example: If you type MC_Fiveaxis from the Rhino command line, this will bring up the dialog for the settings. If you type a minis (-) sign in front (-MC-Fiveaxis), you will be able to enter all settings from the Rhino command line. You can also attach sequenses of commands to a custom button. The new scriptable commands are -MC_FiveAxis, -MC_FourAxis, -MC_Cutter and -MC_Postprocess. It is now possible to program the behavior of overtravels in custom dll's. The overtravel function is used to avoid any axis from exceeding maximum rotation angle limits. The programable overtravel function gives the user full controll of how the process of the retract, rewind and approach motions should act.